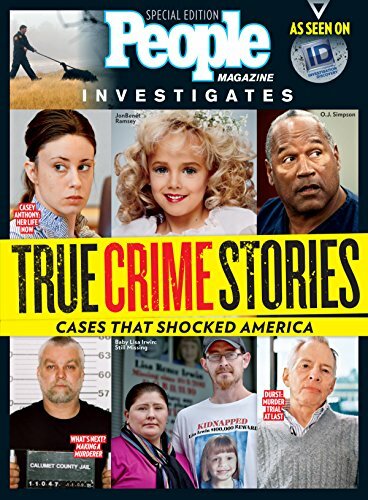 Fresh twists on notorious trials are the focus of True Crime Stories: Cases That Shocked America, a special edition of PEOPLE magazine. A companion to the new Investigation Discovery network series People Magazine Investigates, this edition explores crimes that have remained a mystery for years—the 1996 murder of toddler pageant contestant JonBenet Ramsey, the disappearance of little Lisa Irwin from her Kansas home in 2011—and reports on the latest efforts to solve them. Also featured are the reasons behind new murder trials awaiting Robert Durst, the millionaire profiled on the HBO mini-series The Jinx, and Adnan Syed, the subject of the podcast Serial. It’s a new look at more than 25 crimes—and the people who have overcome unthinkable tragedies to help their communities in the name of lost loved ones.